I feel like I have too much on my plate lately. We're in the process of moving to the different house, kids are off school and arguing non-stop (I mean, really, non-stop! ), J's old car suddenly decided it's time to retire, and our house in Washington needs brand new roof. TOO MUCH! So I need to stop, take a deep breath and get my mind of off things for a little while. How do I do that? I get busy in the kitchen. This time I spent 2 full days baking and decorating sugar cookies, I have enough to feed a small country. 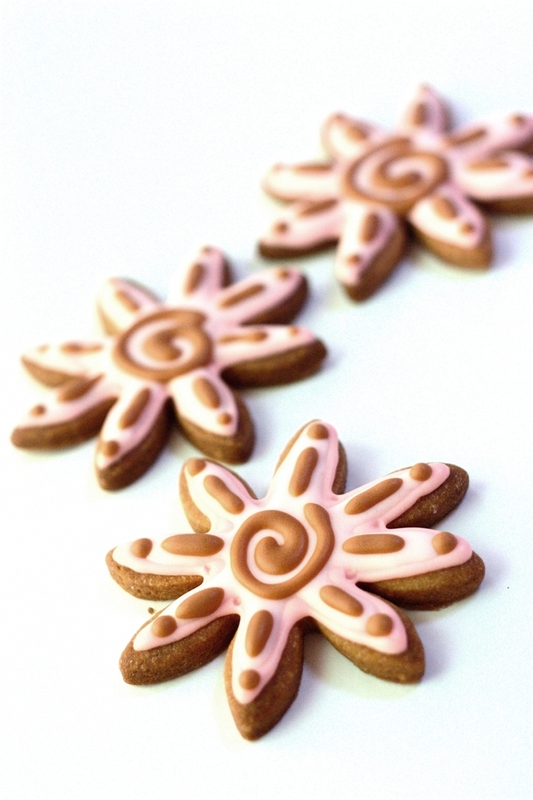 Just using my old plain sugar cookie recipe, decorated with royal icing, I attempted to go with simple Mehndi inspired designs. Preheat oven to 350 degree. Line the baking sheets with parchment paper and set aside. In a large mixing bowl and using hand mixer, cream together butter and sugar. Beat in egg and vanilla extract. Using hand, gradually blend in sifted flour, until it forms a dough. Roll the dough into the ball, wrap in the plastic and put in refrigerator for at least 30 minutes. On the floured surface, roll the dough using rolling pin until it reaches 1/4 inch in thickness. Cut into shapes using cookie cutter. Transfer to lined baking sheets and bake in the over for 8-10 minutes or until golden brown. Cool down completely before decorating. In a large mixing bowl, beat the egg whites and lemon juice until stiff. Add the sifted powdered sugar into the bowl and mix until smooth. Test the consistency using 10 second rule (when you lift the beater, the ribbon of icing that fall back into the bowl should remain on the surface for 5-10 seconds before becomes smooth. 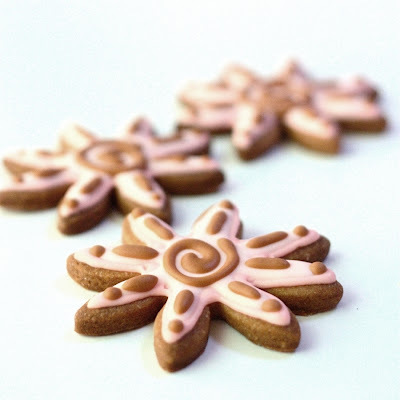 If it disappear before 5 seconds, the icing is too thin, add more sugar. If it remains on the surface for more than 10 seconds, it's too thick, add a few drops of water). Royal icing hardens fast, so use immediately and always cover the bowl with plastic wrap to prevent crusting. Also, use gel food coloring so it does not thin the icing.